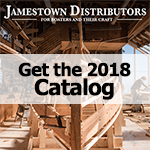 There a number of varieties of screws and bolts available from Jamestown Distributors. Choose from non-corrosive marine grade Stainless Steel, Silicon Bronze, Brass, Galvanized. If you need help choosing the right screw or bolt for your home, marine or woodworking project. From our selection, you must choose (1) metal, (2) type of screw, bolt or fastener, (3) head shape, (4) driver type, (5) diameter and (6) length.